1. Breakfast at Tiffany's (1st Birthday) - The key is to have the Tiffany blue color throughout the party. I got white boxes from Michaels and painted them in the signature Tiffany blue color. I used these as the center piece for the tables and put flowers and/or photobooth props in them. For the birthday girl, we got her a black tutu dress from Etsy to mimic Audrey Hepburn's iconic look, complete with a crown and of course a statement necklace. 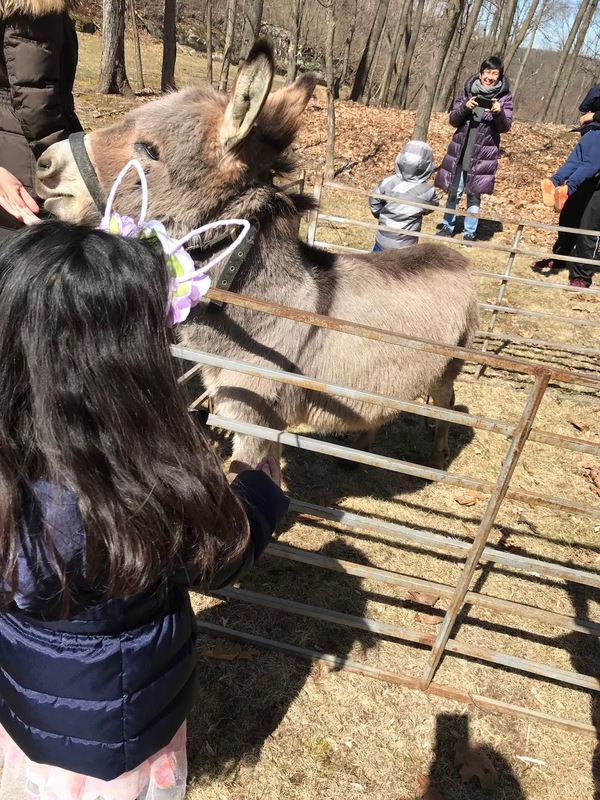 For the favors, the kids were able to fill Tiffany Blue beach pails with prizes from a big treasure box and treats from our dessert table. The favorite by far were white pearlized gumballs that I strung ribbon through to look like pearl necklaces. Those were a HUGE hit. And to finish up the decor, we printed up some black and white pics of Audrey Hepburn and placed them in frames from the dollar store. 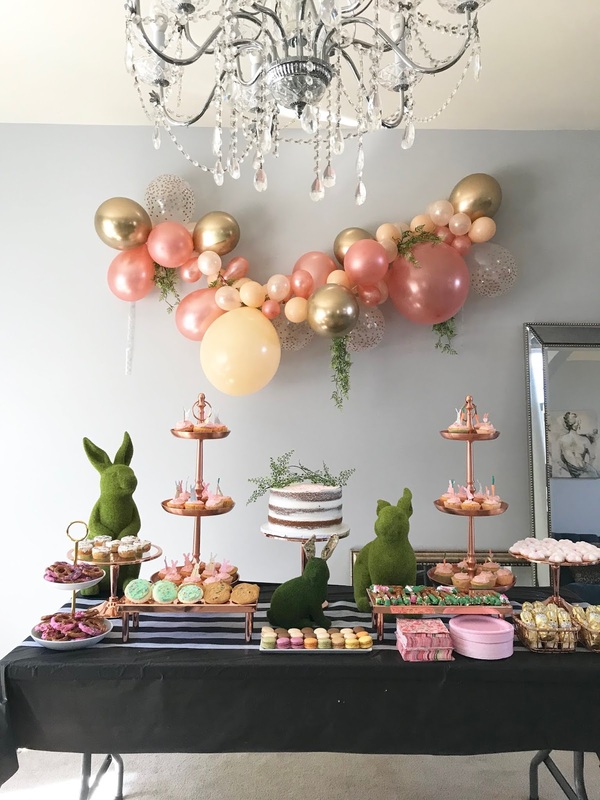 2) Circus themed party (2nd Birthday) - the key to this is to create a backdrop that looks like a tent to keep with the theme. I got this black and white stripe gossamer roll from Oriental trading that I literally use for every party. Its pretty inexpensive and I use it for everything. So my over all theme was black and white stripes with hints of baby blue and baby pink throughout. Our dessert table had black and white striped popcorn boxes that tied back to the theme. We had those peanut shaped candy you can get from the dollar store, cotton candy, cupcakes, and much more. For the games, we had circus themed games with ticket prizes. And once everyone collected their tickets they could choose from a variety of prizes. 3) Little Mermaid (3rd Birthday) - The backdrop and decor for this party was very much a DIY project but so fun and so reasonably priced. For the main backdrop I used streamers and balloons. Streamers are so cheap and make such a statement for backdrops. For another vignette at the party, I folded construction paper, all in tonal blues and purples for an underwater feel. I like to think they looked like abstract fish. My balloons were fuschia for that pop of color. For the food, we got super creative (courtesy of Pinterest). We made croissant sandwiches and added googly eyes to make them look like crabs. We also cut up hot dogs so it looked like mini octopus after they were cooked. My most favorite part was our surprise guest, Ariel. I think all the moms were more mesmerized than the kids. She was so beautiful and she read a book to the kids and even sang a few songs from the movie. And to top it off, each guest got to leave with their own beta fish :) Those were a huge hit. 4) Unicorn Party (4th Birthday) - This was a fun unicorn and rainbow party. For this backdrop I used rainbow colored streamers. Again such a great price for the impact it makes for your party. Of course the goody bags for this party had unicorn slime, unicorn knick knacks and a cute unicorn stuffed animal. Oh and each child got a mini birthday hat that I got from the target dollar section. They were small outlined with glitter and almost looked like unicorn horns so they were so perfect for the occasion. The wow factor for this party though was 2 pretty unicorns that came to visit. Each guest got to ride on the unicorn around the block. 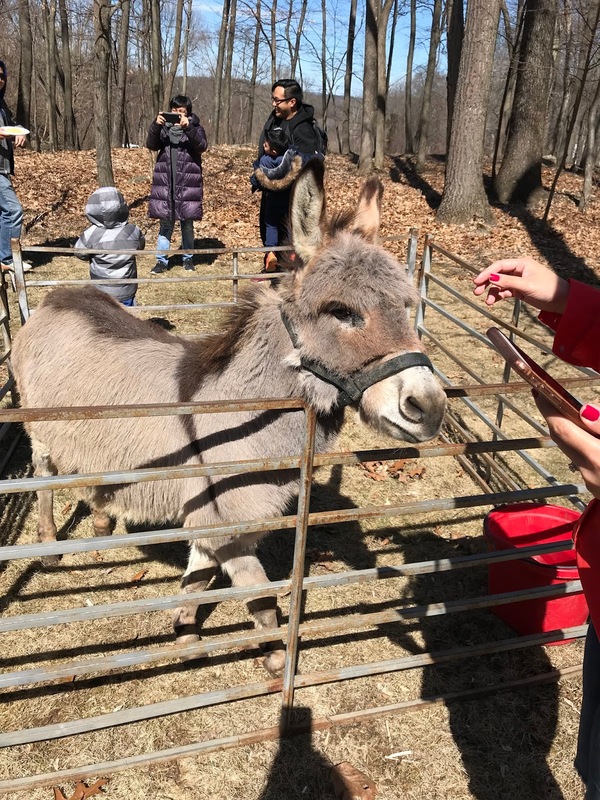 They even got to feed them so the kids were super excited about that. 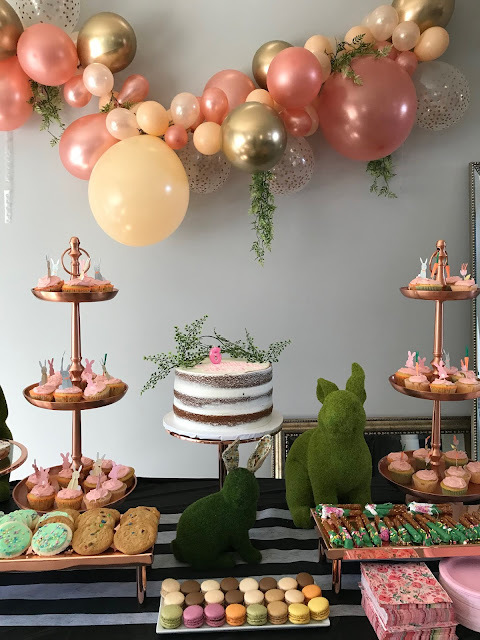 5) French themed Ooh la la Party (5th Birthday) - This was a pink and fuschia themed party. The decor inspo was a fresh flower shop on the streets of france. For the awning I used my black and white stripe gossamer paper. I had a rustic ladder and I added silver vases with faux tulips and other tonal pink flowers on it. For the activity (and also their giveaway), the kids got to "adopt" their very own french poodle stuffed animal and they got to make their collar out of pipe cleaners and lettered beads. Of course we had french macaroons on the dessert table. 6) A Hoppity Bunny Party (6th Birthday) - The color theme for this party was pink and green - for that garden vibe. For the backdrop I used a balloon garland for the first time and I was sooo happy with the results. It was so easy to put together (I got the kit from etsy). And then I added some greenery to it for keep with the theme. For the dessert table, I again added my black and white stripe gossamer paper as a table runner. 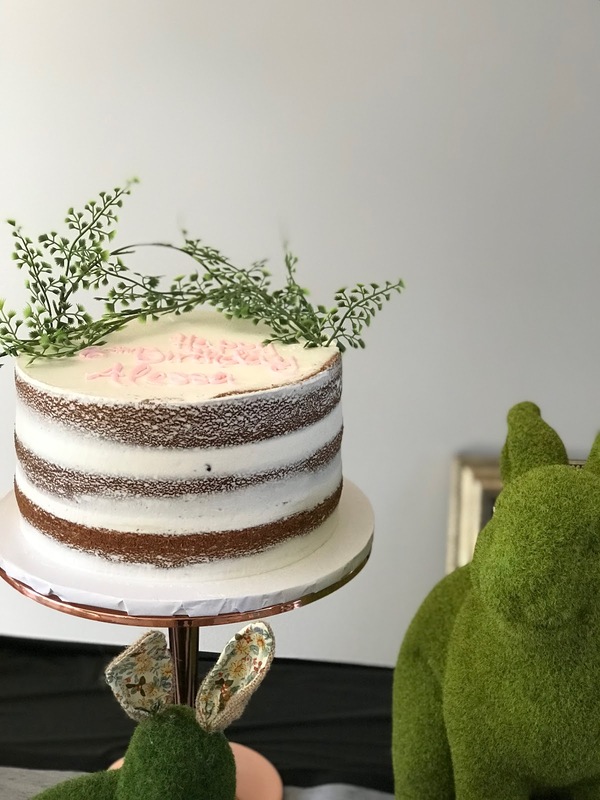 I rented rose gold table and cake stands from here and I decorate with beautiful moss green bunnies. For our activity, upon the birthday girl's request, we had a mini easter egg hunt out in the backyard. 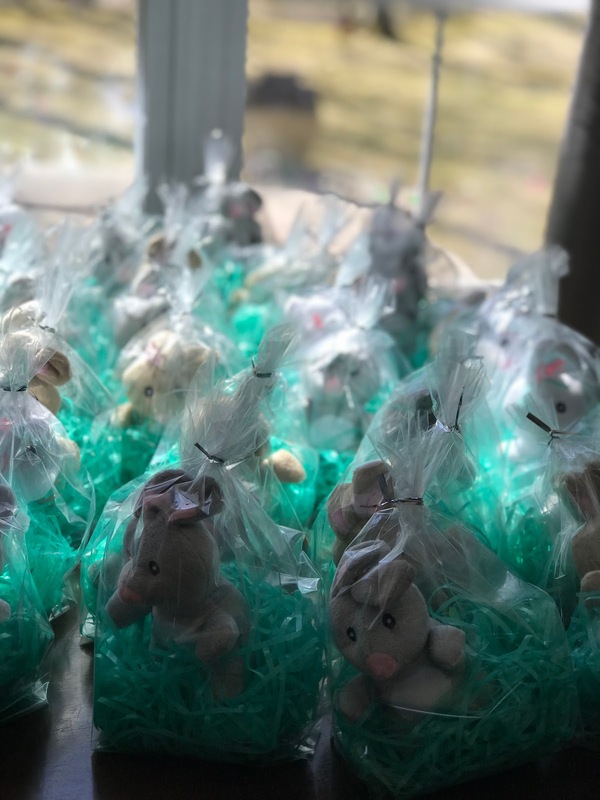 And for our giveaways, we gave everyone a cute stuffed bunny to take home. And then for the grand finale, we had live bunnies for the kids to play with. But the live bunnies brought along some of their friends. We basically had a mini petting zoo complete with an Alpaca, mini donkey, mini cow, and even a mini pony for the kids to ride. They really had a lot of fun. So, there you have it - my 6 unique party ideas for little girls that will wow everyone, even you. Which one is your favorite? Comment below. And feel free to share any other ideas you may have for girls. It's officially March! And while the cold weather is saying otherwise, Spring really is around the corner. There are so many great pieces that you can use now to help you transition your wardrobe from winter to spring. Last weekend, I got to shop at Alba Boutique here in NJ. They have 4 locations but the one I visited was in Morristown, NJ. A key tip to transition your clothes into spring is to pair them with a lighter colored piece. This gives your whole look a fresh, new feel. Let's go from winter whites to spring lights. Of course, when you think Spring you think florals. You can take a deep moody floral blouse like this sheer blouse from Alba Boutique and pair it with wide leg cream pants. Pair it with black pumps and a structured satchel like this Louis Vuitton Epi leather Alma bag. Plaid blazers aren't going anywhere. But instead of the heavy wool material we've been seeing in fall, here is a great spring option from Alba Boutique, in a light cotton fabric with small hints of red throughout. Pair it with skinny jeans, and thin strap sandals which are making a comeback this season because 90's fashion is back in. Finish it with a pop of red lippie to tie back to the red in the plaid. This such an easy top that can be worn during the day with jeans and sneakers and at night with skinny black pants and pumps. This top already screams spring so you can tone it down with a neutral lippie in the colder weather. And then for the warmer months you can add a bright pop of pink with your lippie. Bright lipstick colors do wonders for your outfit in the warmer months. Your accessories can also really help transition this piece for spring. Neon pieces are hot this season so add neon into your accessories with this classic top. Blazers always pull a look together. Combine it with gold hardware details and you are set. I fell in love with this blazer as soon as I saw it in the store. It's very reminiscent of the Balmain blazers for a fraction of the cost. This white color is so perfect to carry your look forward into the warmer months. Pair it with black skinny pants and pumps now but in the spring, drape it over your shoulders over a floral dress. I love being cozy so sweaters are always the last to go for me in the spring when its time to pack away the winter clothes. This weekend sweater is so perfect with the bright pop of color. Pair it with white skinny jeans and vans or like I did here with my Madewell Cali jean and converse sneakers. You can bet I'm grabbing brunch with my girlfriends in this cute piece. I'd say it looks good with avocado toast, don't you?